We found that 2/3 of women are made to feel invisible by society as they age. We wanted to tackle this age-ism. Knowing that our mothers were always our biggest supporters growing up we realised it was now our turn to support them. 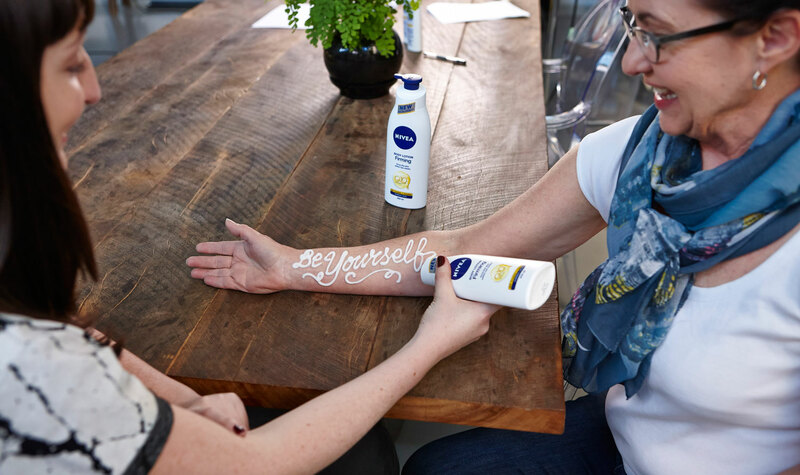 So to launch the new Nivea Q10 Firming Rich moisturiser, we called on children to #StandFirm with their mothers by sharing the positive affirmations that made them who they are. We commissioned research and developed a video with typographic artist Georgia Hill and her mother Judy to encourage all women to #StandFirm together. In addition, we formed a partnership with media personality Bianca Dye to speak publicly on the issue of age-ism.